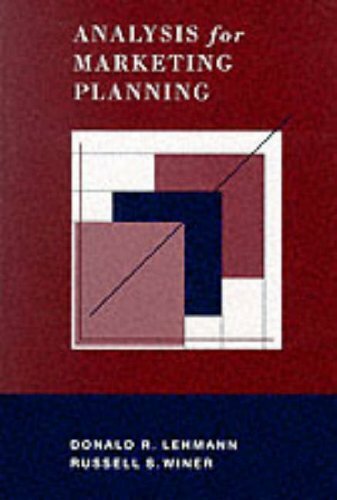 Analysis for Marketing Planning, 6/e by Lehmann and Winer focuses on the analysis needed for sound Marketing decisions and is structured around the core marketing document--the Marketing Plan. Whether studying Marketing strategy or Product/Brand Management decisions, students need to be able to make decisions based from sound analysis. This book does not attempt to cover all aspects of the marketing plan; rather it focuses on the analysis pertaining to a product's environment, customers and competitors.